Twitter has put an end to a pro-Second Amendment ad campaign aimed at gathering signatures for a petition against an initiative to have background checks on ammo sales in California. 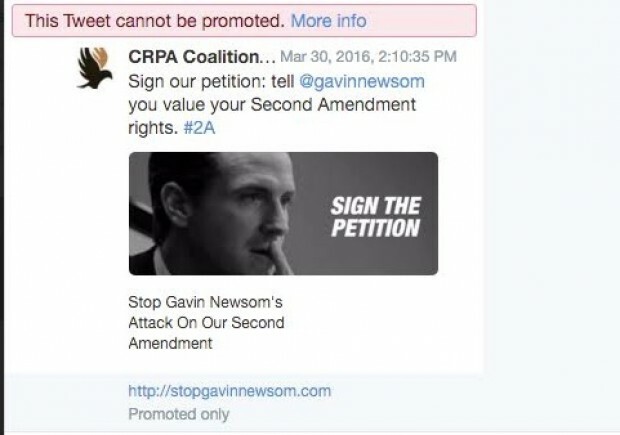 The Coalition for Civil Liberties ran an ad that said, “Sign our petition: tell @gavinnewsom you value your Second Amendment rights. #2A” for two weeks before Twitter ended the campaign Tuesday, according to a member of Capitol Media Partners, who were responsible for the ad campaign. Dave McCulloch, Digital Strategy Director at CMP, told The Daily Caller that when they asked what happened and why the ad ended, the social media giant said it was because of “bad business practices” without further explanation. Speculation within Capitol Media Partners is swirling around the idea that California Lt. Governor Gavin Newsom has exerted influence over Twitter to put an end to the ad campaign, according to the group. Lt. Governor Newsom’s office and Twitter have both not replied to requests for comment. Two Twitter executives gave almost $100,000 to Newsom’s campaign to be the governor of California. 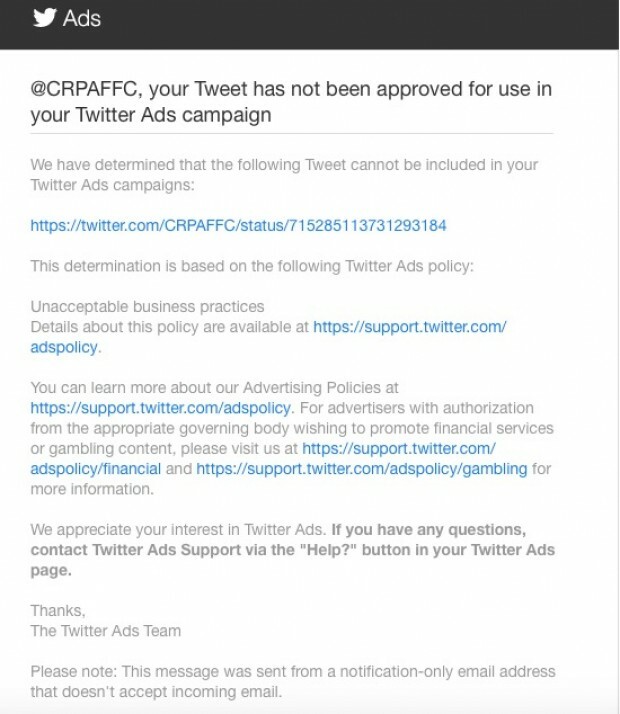 The ad campaign, which is still very much active on Facebook, reached over 118,000 people before Twitter shut it down without thorough explanation.